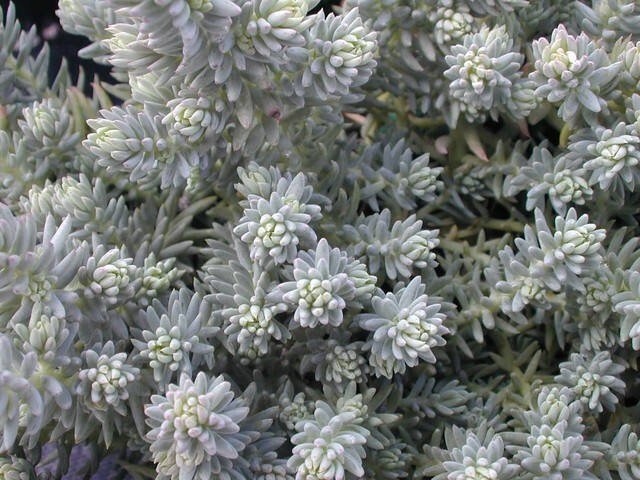 This is a creeping variety with narrow needle-like powdery blue leaves. Golden-yellow flowers in flat clusters. This alpine from Europe is fully hardy. Good in rock gardens.